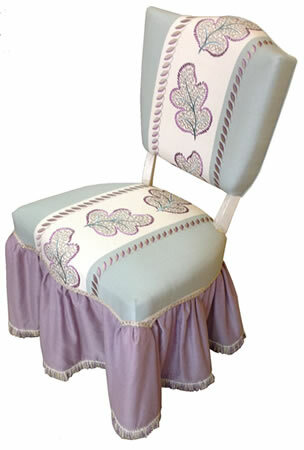 E & J – Provides a full traditional NYC Upholstery service. When we Re-upholster we basically start from scratch, removing all of the interior stuffing and leaving it to the bare frame, then we work our way up. Wether your requirement is to reupholster, repair or a custom made upholstered piece you will find that our attention to detail is precise, ensuring high quality and a long lasting job for every piece you entrust with us. We do all kinds of styles from a modern piece to a traditional carved piece. We offer complete restoration services. All our upholstery is done at our workroom by our experienced craftsmen. Our Wall Upholstery NYC Service style is modern with padding and clean edges. No welt, No glue and No staples showing. We have several headboard styles but we also work from our client drawings to create unique headboards and bedframes. There is no limitation on our Upholstery NYC services, from upholstery of a sofa, to upholstery of a night stand or a wall Upholstery, E & J will work with their clients in any design given and ensure a professional work.